The UK’S First Trade Sign Industry Marketplace! 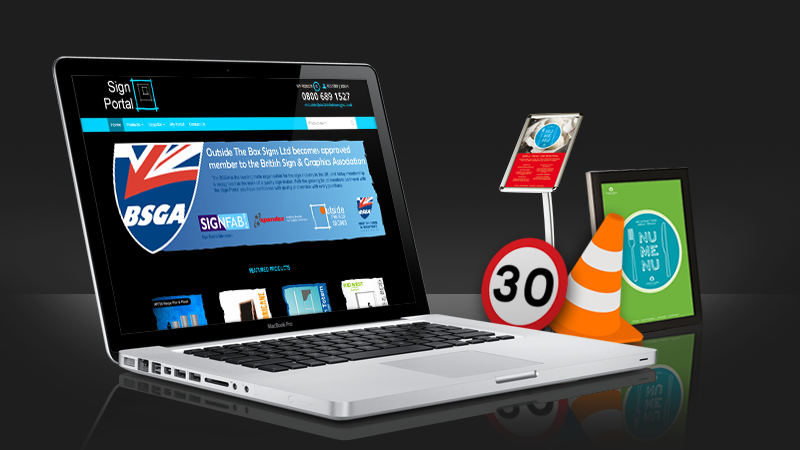 Sign Portal has been branded as the first true UK trade marketplace for the signage industry. This site allows access to a powerful free to use estimating tool giving you the control to build bespoke project requirements 24hrs hours a day. Sign Portal also acts as our information hub where we direct all of your project estimates to a dedicated My Portal area. This hub is customized to your company profile and allows you to manage you estimates, monitor your manufacture status and even build and send for quotations in your image. Whatever sign you are thinking of, we’ve got it! Feel free to take a look at our bespoke calculators which allows you to build your sign right on the site and get in instant price to purchase. Depending on the size, fittings, poll required, etc – the site will instantly update your sign total. Click on the link on the right to see for yourself! Bespoke calculators to create any sign you can think of and get instant prices.